On January 5 we will set sail on the Amsterdam, Holland America’s co-flagship. It is a medium sized ship with a capacity of 1300+ (although we expect a lot fewer than that on this voyage). The title above, obviously cribbed from Jules Verne’s book, is original in the sense that I (Rick) made it up. Since I made it up, however, I have seen it used by several other people who independently made it up (indicating its pretty obvious & not very clever). I considered dropping it, but what the heck . . . it’s my blog & I did think of it on my own. So, there it is. There should be quite a lot of interesting stuff on this voyage. We will be going through both the Panama & the Suez canals. We will visit lots of churches, mosques & temples. We will see elephants & camels & kangaroos. We will see islands, mountains, deserts & The Great Barrier Reef. So if our ship is not scuttled by an El Nino induced cyclone, and we are not done in by pirates or terrorists along the way, we expect to be back home in May with a new appreciation of parts of the world we have never seen before & some interesting stories to tell. Of course, many of those stories & all of our best photos will be available to all on this blog. So welcome aboard. Above is a map of our itinerary, & below is an easier to follow listing of the ports & sea days (note that if you hover your mouse cursor over a picture a caption will pop up). Of course, this is the planned itinerary; experience tells us that there will be changes along the way due to such things as weather or local political unrest. But not too many, we hope! No one will be shocked to learn that we will not be the first to circumnavigate the globe. Actually, the expedition of Ferdinand Magellan was the first to complete such a journey, from 1519-1522. Magellan didn’t make it because he was killed in a foolish skirmish with the locals in the Philippines; only one ship from his fleet with 18 survivors made it back. We saw a monument to Juan Sebastian Elcano, the leader of those survivors, in Seville a couple of years ago. * The first French circumnavigation by Louis de Bougainville (after whom the flower bougainvillea is named) in 1766-1768. His crew included Jeanne Bare, the first woman to sail around the globe, who was disguised as a man on board. * Captain James Cook in 1766-1771. He actually had three such voyages, but was killed in Hawaii during the third one. 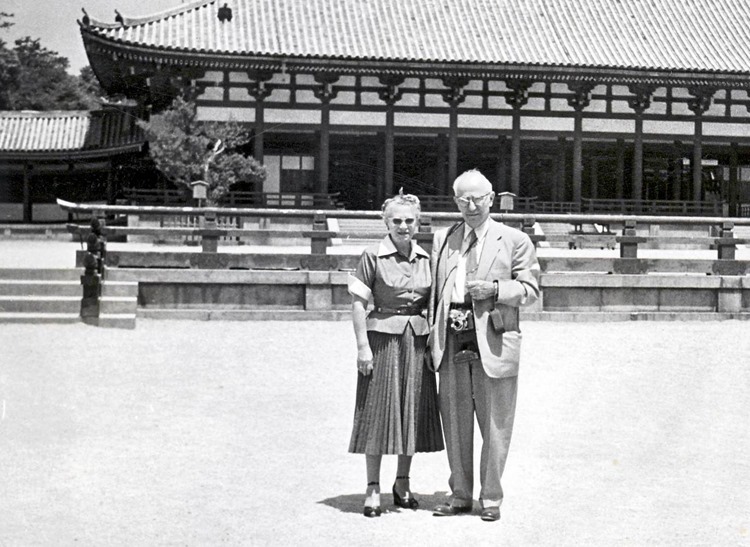 We will be visiting the sites of several of his stops in the South Pacific. * Teddy Roosevelt sent America’s “Great White Fleet” around the world in 1907-1909 to assert the United States’ claim as an emerging world power. 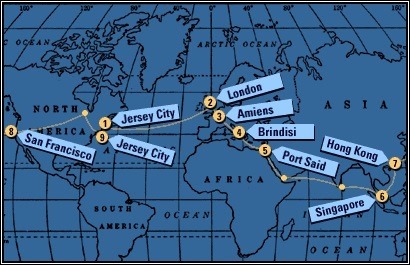 * In 1966-1967 Sir Francis Chichester made the first solo circumnavigation of the globe, stopping in port only once. While not technically circumnavigations, there are several other well known trips around the globe at least partly by sea that are quite entertaining. 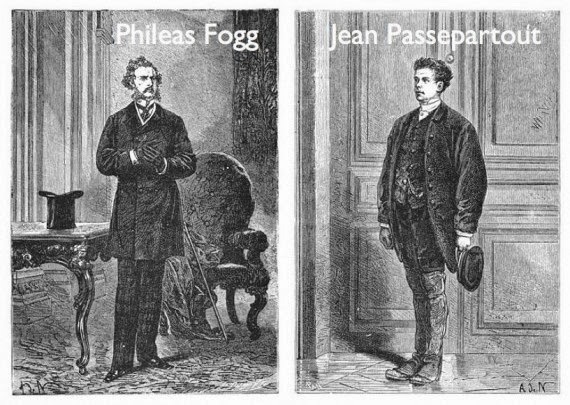 One famous journey that didn’t actually take place, of course, was that of Phileas Fogg & his servant Passepartout in 1872, recounted by Jules Verne in Around The World in 80 Days. It is still a good read (even if you have seen one of the films) and if you have an ereader you can download a copy for free at http://www.gutenberg.org/ebooks/103. 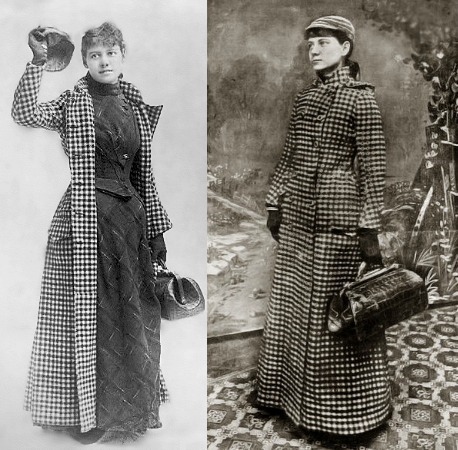 American journalist Nellie Bly was inspired by Verne in 1889-1890 to try to encircle the globe in 80 days and actually made it in 72, a new world record. 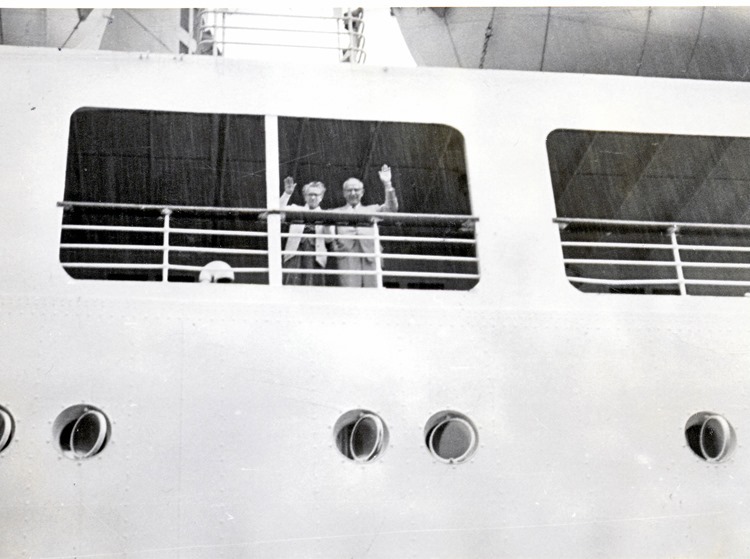 Her trip was an international sensation, particularly since it was quite unusual at that time for a young woman to travel alone (her luggage was limited to a single small hand bag). 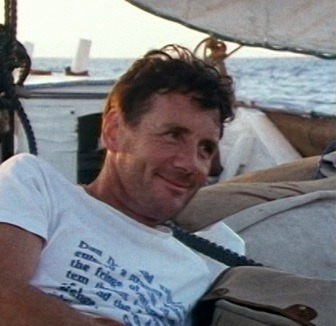 In 1988 Michael Palin (of Monty Python fame) set out to follow Phileas Fogg’s route as closely as possible and return in 80 days. You can (and should) find out how it turned out by viewing his 1988 BBC documentary “Around the World in 80 Days,” available on DVD (we borrowed it from Netflix). They told us they were taking this ultimate trip at that time because they were in their 60’s so their travelling days were probably over. Yet Arthur lived 20 more years & Freda lived another 50 years! It just goes to show that you can never tell when your ability to travel will be gone; it could be over sooner or later than you anticipate. So you have to see what you can while you can. At least that’s our philosophy. Anyway, that’s enough historical background (anyone familiar with this blog knows that history is one of our primary interests). The next posting down from this is entitled “About This Blog,” which details how to go about using this website, get the most out of reading the postings & navigate its contents. There probably won’t be a lot of content here before late January because the Internet is particularly slow & often inaccessible when crossing the Pacific. And be prepared for the blog posts to fall further & further behind our real-time position as the trip goes on, but be assured that it will eventually be completed!